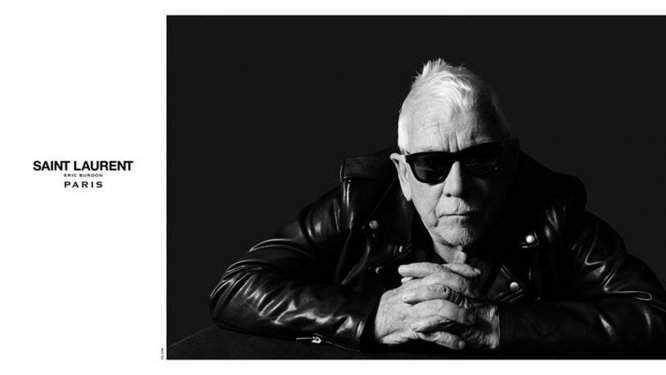 He has an undeniable style, but as far as fashion goes, Eric Burdon has never been one to make sartorial statements. Still, given the former Animal’s vintage, the world of haute couture seems to be embracing the veteran singer now, as he became one of the faces for Saint Laurent’s Music Project. More surprising one than B.B. King or Joni Mitchell who also posed for black-and-white portraits aiming at pointing out the connection between two cultures, Burdon has gained elegance lately, and hopefully this move will bring him a whole new fanbase.